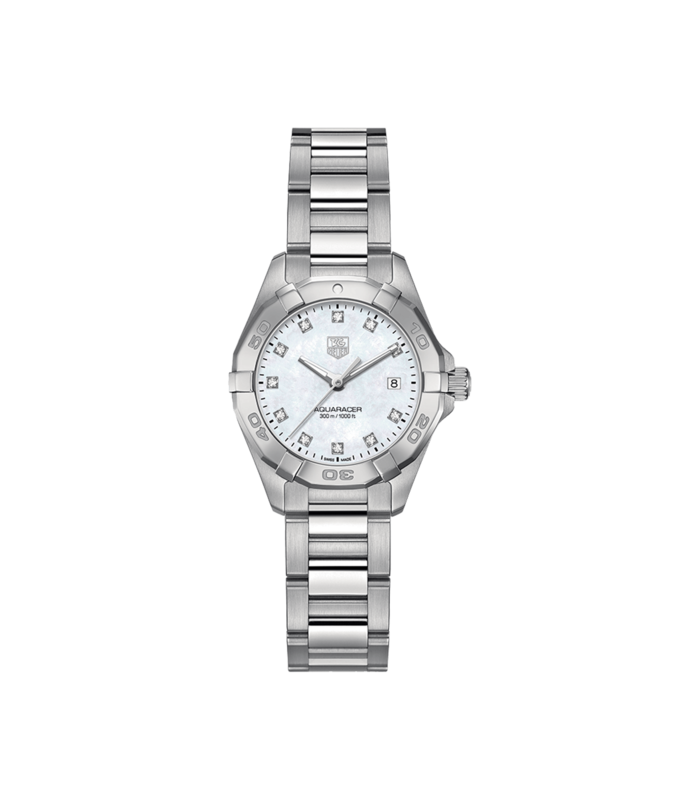 An elegant timepiece, to shimmer and sparkle on the wrist. The mother of pearl dial is highlighted by 11 top Wesselton diamonds and faceted hour and minute hands with luminescent markers. 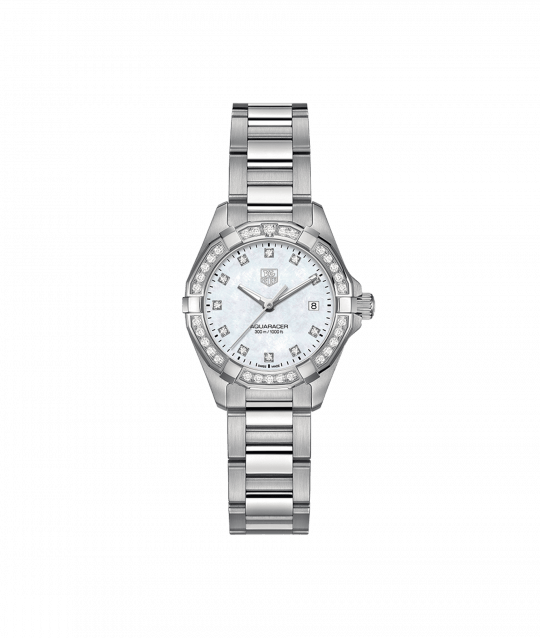 Held within an alternate fine-brushed and polished steel case, topped with the unidirectional polished steel rotating bezel. Within this striking housing lies the TAG Heuer quartz, one of the most reliable and accurate movements made in Switzerland. A fine-brushed and polished steel ‘H shaped’ bracelet completes this style. 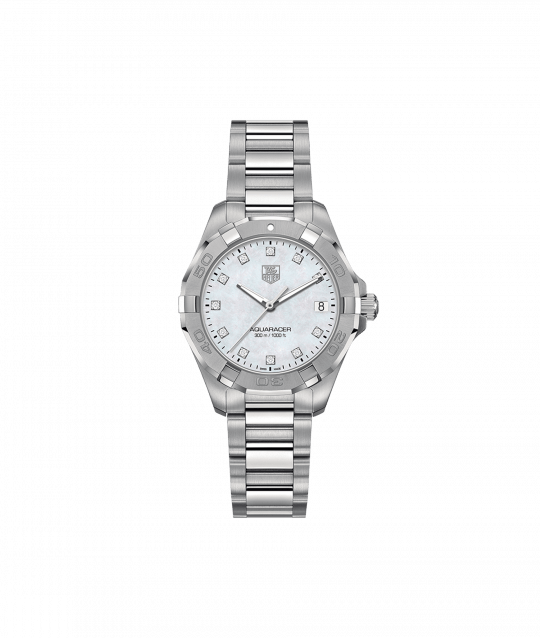 Tag Heuer AquaRacer 27mm Stainless Steel Ladies Watch has been successfully added to your shopping bag.